I then went and checked my Facebook Fan page RSS feed in Firefox and when I clicked the RSS feed indicator, I got a blank white screen. Even in Google Reader, my Facebook Fan Page feed is down and if I try to establish a new feed with my fan page, I get an error. 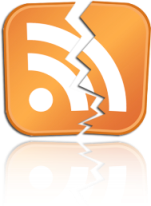 So if anyone has any further insight into why Facebook Fan Page RSS feeds are down, or if y0u find that your RSS feed is actually working, please let us know in the comments. I’ll keep researching this throughout the day to see what can dug up. Its available now, but it wont validate! Some work some don't. I can't get my customers to come up but others I can. Is it a permissions thing? ?